* In July 2014 Oleksiy Filatov has been appointed deputy head of the Administration of the President of Ukraine. In August 2014 he left Vasil Kisil & Partners with four other partners and established Aequo law firm. Ilyashev & Partners, is a Ukrainian law firm with a distinctive market standing as a strong litigation team servicing both domestic and international clients. The notable advantage is a network of regional offices, including Kiev, Kharkov and Dnepropetrovsk. The sizeable legal team is on the forefront of recovery disputes, administrative proceedings, including solving tax-related disputes, bankruptcy cases, labor and IP disputes, recognition of foreign courts decisions in Ukraine. The team handles a huge range of dispute resolution works on both claimants and respondents. Recent highlights include representing Sumykhimprom in debt recovery proceedings instituted by BTA BANK; has been engaged in dispute regarding the privatization of Bahchisarayskiy Konservniy Zavod. The firm’s client list has plenty of sound names. For example, Group DF, ArcelorMittal Kryvyi Rih, МЕТRО Cash & Carry Ukraine, Deutsche Bank AG, Nadra Bank, SE Anton, Eli Lilly and others. Three partners Mikhail Ilyashev, Roman Marchenko and Maksym Kopeychykov have a long standing presence in the litigation scene. A well-established litigation force, LCF Law Group demonstrates growing activity in banking disputes, especially debt recovery and continues to be very busy with tax, corporate, commercial, land, ownership and labor litigations. The team represents high profile clients such as Bank of Cyprus, Universal Bank, Alfa-Bank and others in a range of multimillion disputes with borrowers. The group continued to maintain a strong focus on the energy sector. Kuwait Energy Ukraine attracted the group to represent its interest in a number of disputes on recovery of natural gas, oil and gas condensate with Naftogaz of Ukraine, Ukrainian State Construction Corporation UkrBud and Ukrtransgas. 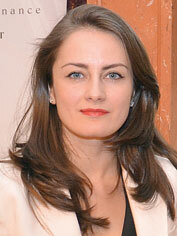 Anna Ogrenchuk, managing partner, and Artem Stoianov, senior partner, are key litigators. Egorov Puginsky Afanasiev & Partners (EPA&P)isfamed for having both strong domestic litigation practice and multijurisdictional disputes track. The firm is often a preferable dispute force for foreign banks and financial institutions. The Kiev office continued representation of its consistent client Video International Prioritet in a dispute against TV channel Studio “1+1”. Oleksii Reznikov, a renowned partner, heads a seven-lawyer team. Ilona Zekely, partner, an Austrian lawyer, contributes to the performance of the dispute resolution team. Throughout 2013 Arzinger handled around 70 various cases including tax, real estate, labor, commercial, debt collection and banking disputes. Recent cases have included representing the interests of Alfred C. Toepfer, OTP bank, Europolis CE Omikron Holding GmbH, Galychfarm, Nicomed Ukraine LLC, Porsche Ukraine LLC, Pravex Bank, Credobank, Windrose Airlines and others. The litigation practice benefits from Arzinger’s regional network of offices in Kiev, Lviv and Odessa. In a recent example, the firm represented OTP Bank in a 2-year dispute with a mala fide borrower; acted for Oleg Gross in a case on the rescinding of a share sale and purchase agreement for one of the biggest cement plants of Ukraine. This case is one of a few in national court practice when a share sale and purchase agreement was rescinded due to lack of consent of some sellers’ spouses if the contract subject concerns valuable assets of the spouses. The sizeable litigation team is headed by the firm’s founding partner, Sergiy Shklyar, and includes, among others Natalia Ivanytska, Natalia Martynyuk and Markian Malskyy. Sayenko Kharenko’s litigation practice has undergone rapid development over the last few years and reared a sizable team of senior-level litigators and criminal defense attorneys. Complicated tax, investment and debt recovery litigations were the core of the firm’s practice during the past year. Some representative cases included advising shareholders in a series of court cases relating to the operations and management of one of the Europe’s largest machine-building companies; defending a client in an investment dispute relating to investment in real estate, a large hotel complex in Kiev; acting for a major developer of wind-power projects in a complex tax dispute related to the acquisition of a land plot in Crimea. In another case the firm successfully represented Philip Morris Ukraine in a dispute over collecting a debt in the amount of UAH 45 million from its former distributor. The firm was also busy working on large-scale debt recovery cases. In 2013 the team handled the debt recovery portfolio for a total in excess of USD 300 million, representing leading Ukrainian and foreign banks. The firm handled over 15 criminal cases during the past year. Partner Sergey Pogrebnoy, counsel Igor Sukhomudrenko, and senior associates Petro Batiuk, Anton Zhdanov, and Sergey Smirnov are the key litigators. Lavrynovych & Partners has been bolstered by successful litigation in loan recovery work, taking on an increasing number of litigations, assisting both lenders and borrowers, and tax litigation caseload, traditional bulk of the practice. The past year was notable for representing Swissport International Ltd in a dispute versus Ukraine International Airlines on recognition of rights of title to share in statutory capital. 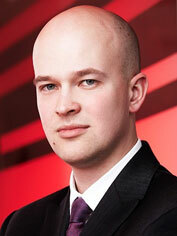 Stanislav Skrypnyck, partner, head of practice, attracts praise from peers. Integrites extended its presence in the field of complex litigations, encompassing tax litigation, IP disputes, debts and assets recovery, ownership rights disputes. The firm lately assisted state enterprise 410 ZAVOD CA, aircraft-repair enterprise, with the IP-related disputes with a member of the State aircraft constructing consortium State Enterprise Antonov. It also advised Pravex Bank in a complex indebtedness recovery dispute. Integrites was busy with tax disputes. For example, representing Velyka Kyshenia, one of the largest Ukrainian food retail chains, regarding the challenging of additional tax liabilities. The team demonstrates an impressive clients list and keeps a tight focus on banking, industrial and retail sectors and agribusiness. Notable clients include Diavest+, ATB-market, Selected Foods Group Ltd, KWS, Galika AG, SE Suntrade, Lvivautobusplant, Open Joint Stock Company Farmak, Sberbank of Russia and others. 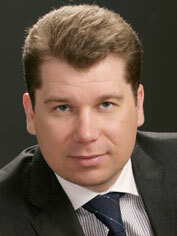 It is notable that the practice was boosted when Vyacheslav Korchev, senior partner, became the practice head. 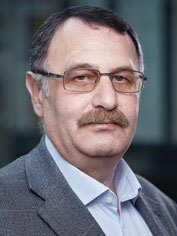 Denys Kytsenko, counsel, is another important litigation figure force at Integrites. The sizeable litigation team of AstapovLawyers international law group numbers more than 20 litigators in the Kiev, Moscow and Almaty offices. The group covers a broad scope of representations, including banking, IP, real estate and land, debt recovery, tax and other commercial disputes, as well as recognition and cancelation of foreign arbitration awards in Ukraine. The firm leads the representation of British American Tobacco in its administrative claims on appealing the fines; Sony Electronics in challenging tax decisions; represented Toloka Publishing House in a judicial case over real estate object in Kiev. 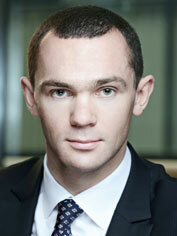 Partner Oleh Beketov heads the litigation practice at the group. The team’s core practitioners are Ivan Mishchenko, counsel, Vladislav Rieznikov, Oleh Gromovoi and Ivan Lishchyna, senior associates. Asters has rapidly developed its litigation practice throughout the past year, covering domestic commercial litigation, corporate disputes and administrative proceedings. In 2013 the firm supported Swedbankbefore Ukrainian courts in cases regarding collection of multi-million corporate debts from the client’s debtors, recovery against mortgaged property; and acted for Ektornet AB in a dispute regarding the ownership of immovable property of a total cost of USD 15.5 million. Asters is acclaimed for having a strong corporate disputes team and recently represented Ostchem (Group DF) in a series of corporate disputes against Uralkalii with regard to PJSC Azot. As an eminent market leader for antitrust and competition, the team is a point of choice for challenging the decisions of the Ukrainian antimonopoly regulator. For example, the team represented Kronospan in court proceedings in connection with a fine for a bid rotation cartel imposed by the Antimonopoly Committee of Ukraine, when the commercial court of appeal eventually upheld Kronospan’s claim and reversed the AMCU fining decision. 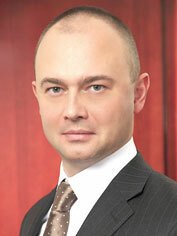 Oleksiy Didkovskiy, managing partner, has been rapidly nurturing his market standing as a litigator. Andriy Pozhidayev, who has been recently promoted to partner, is another key litigation individual. КМ Partners excels in the tax field and is renowned for its strong focus on tax litigations. Another large part of litigation portfolio relates to customs matters and white-collar crimes. The leading experts on tax litigation are partners Alexander Minin and Alexander Shemiatkin.In 2013 the number of criminal proceedings for tax evasion, criminal forgery, criminal negligence and other white-collar crimes as well as cases related to providing support against raider’s actions rose rapidly. 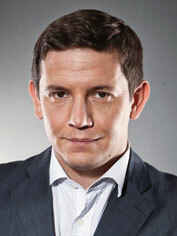 Commercial disputes constitute a considerable part of dispute resolution practice and are led by partner Maxim Oleksiyuk. Among the recent notable representations worth mentioning are successful support of the company in a court on the dispute with former owner of the project company; support of the interests of a number of companies in a dispute with the Cabinet of Ministers of Ukraine on cancellation of regulations on the implementation of the system of collection, storing and disposal of waste as secondary raw materials; advocacy in dispute between the state enterprise Ukrecoresursy and state authorities. Pavlenko & Poberezhnyuk Law Group has a particular focus on fund litigation, disputes with state tax authorities, land dispute resolution and litigation in real estate disputes, resolution of corporate conflicts. The law group provides counseling to numerous major international and leading Ukrainian companies and financial institutions, including VTB Bank, Astelit (mobile operator Life:), Sibir Airlines (S7), Darnitsa Pharmaceutical Company, Kyiv Factory of Sparkling Wines. Over the past year the group picked up litigation work from clients in banking, machine building, retail, transportation, cosmetics and FMCG sectors. The group has recently provided full-scale legal support toVTB Bank, and represented its interests in courts of all instances. In another case the Kyiv Factory of Sparkling Wines, one of the leading producers of sparkling wines in Ukraine, was represented in a dispute with the National Securities and Stock Market Commission on suspension of company’s stock turnover. The heads of dispute resolution department are the two founding partners, namely Oleksandra Pavlenko and Larysa Poberezhnyuk. Given its strong corporate and M&A performance, Avellum Partners is increasingly actively involved in to corporate and investments disputes. Recent files includestrategy advice to Sky Mall shopping centre protecting its assets from attacks of various parties coordinated by a minority shareholder of the shopping mall aimed at seizing assets or corporate control over the shopping mall; support of Karavan Real Estate on litigation and arbitration strategies related to their dispute with a private equity fund on USD 100 million investment. It is worth noting that the team has advised Stockman Interhold S.A. in a multijurisdictional dispute in the BVI and Cyprus on discharging a worldwide freezing order over its assets issued by the BVI court and dismissing derivative proceedings, brought by shareholders of Oledo Petroleum Ltd. Kostiantyn Likarchuk and Mykola Stetsenko lead the practice. ANTIKA Law Firm has an active litigation team picking up various cases. The firm represented the interests of PJSC Nasos-energomash before the Higher Administrative court of Ukraine while hearing the cassation appeal of the State Tax Inspection of Ukraine against the positive for the enterprise decision adopted by the Court of Appeal. A big international FMCG company hired the team for representation in tax, customs and labor disputes, debt and penalties collection. Given the firm’s proficient market standing in the energy sector, the dispute team acts across debt recovery under the lease, sublease agreements, the sale and purchase agreement as well as disputes regarding license agreements in the sector of oil and gas exploration and production, tax and customs disputes. The firm’s litigation force of Alexandra Fedorenko, Bogdan Bilenko, Maxim Korchagin, is managed by experienced partner Andrey Kuznetsov. The Kiev office of Baker & McKenzie isentrusted by its extensive international and domestic clients to handlecorporate rights disputes, real estate and land disputes, debt recovery and representation in bankruptcy proceedings, enforcement of a foreign arbitration award in Ukraine. 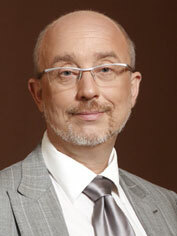 Partners Serhiy Piontkovsky and Ihor Siusel are the main contacts. ** In May 2014 Julia Semeniy joined Asters as a partner. ENGARDE attorneys at law have dealt with debt recovery cases as well as recovery of losses, insolvency, and bankruptcy proceedings. In 2013 the team, as led by Andriy Vyshnevsky and Irina Nazarova, represented Bank Forum in more than 120 litigation cases, including cases on recovery of debt and interest, and counterclaims on recognition of loan, mortgage and guarantee agreements as null and void. FCLEX, a Ukrainian law company, enjoyed a large volume of contentious work covering commercial, tax and regulatory disputes. In 2013 the sizeable team led by partner Victor Barsuk represented the Finance and Credit Bank in a series of debt recovery cases against Klub Syru totalling USD 48 million. The firm was also engaged in a series of disputes in the Netherlands and Ukraine over assignment of shares of Ocean Shipyard by the Dutch holding company to a group of companies affiliated with Smart Holding, which also affected a notable Ocean bankruptcy proceeding in Ukraine; and represented AvtoKraz in a number of court disputes over execution of credit and pledge agreements. The firm reported on a total number of 34 tax cases to a total amount of USD 150 million. Law Firm Dynasty, a Ukrainian law firm based in Dnepropetrovsk, renders judicial representation across various types of disputes, in particular, civil disputes, tax litigation, ownership rights protection, debt recovery, land related issues, etc. Thus, the firm represented Grainfield-A in a commercial dispute upon the claim of the prosecutor’s office invalidation of some investment contacts about the division of property in share ownership; advised Trance-Trade in a dispute to nullify a land lease agreement between Pyatihatkie District State Administration and LLC Vostok-Rud. Litigation comes within the remit of a broad partnership staff — Denys Myrgorodsky, Yevheniy Smiyuha, Anna Poddubnaya, Snejana Karagodina, Natali Kozakova, Viacheslav Kohlyakov. ARBITRADE, domestic arbitration-litigation boutique, has a diverse litigation portfolio comprising banking, investment, retail, financial, IP, civil, commercial, administrative, debt recovery disputes. The boutique has been engaged into a number of complicated high-value tax-and financial-related cases. In 2013 the firm represented the shareholders of Elotek and Lumen LLC in corporate dispute along with a financial trial over credit agreement; participated in Oficebud case in connection with debt recovery in a situation where no contract has been signed by the parties. Pavlo Trytenichenko and Andriy Shulga are the main contacts. Throughout 2013, Andriy Kravets & Partners, as led bypartner Vladyslav Lyaskovskiy, acted on a number of civil, commercial, administrative and criminal proceedings related to the disputes on protection of honor and dignity, annulment of administrative fines, payment of insurance recovery, illegal actions by Ukrainian Customs, etc. International Legal Center EUCON has a distinctive focus on tax litigation. Among others, the center handled representation of TNK-BP (today known as Rosneft), one of the world’s leading oil and gas companies, in its USD 30 million tax dispute with the Tax State Authority of Ukraine. Throughout the past year the firm diversified its litigation offering. For example, Termisil Huta Szkla Wolomin S.A. on debt collection according to the supply agreement and acted for Consulate General of Poland in Lviv in connection with debt recovery on construction agreement. Yevgen Petrenko, Vladymyr Bevza, Maria Lipina are the main litigators supervised by two partners — Tatiana Samsina and Yaroslav Romanchuk. The young and dynamic market player AVER LEX attorneys at law is centered on litigation work. Throughout the past year the team has grown its caseload, which covered a range of civil, commercial, administrative and criminal disputes. The nine-litigator team is headed by Olga Prosyanyuk, firm’s managing partner, and Mykola Hrygoriev.The recent caseload comprises debt collection disputes, tax litigations, administrative proceedings. The team is also known for representation of known officials, as well as defending professional rights of journalists and attorneys. ANK Law Firm based in Odessa and headed by Alexander Kifak is among notable litigation forces on the market of the subsequent region. Among recent notable cases are a representation of Risoil Terminal in a dispute with ecological inspection with regard to reparation of damages caused by sea pollution; Turkish shipowner and P&I Club in a dispute with Ukrainian customs. The firm is also involved in ongoing representation of passengers of the AN-24 of South Airlines which crashed at Donetsk airport on 13 February 2013 within the framework of a claim against South Airlines. Attorneys’ Association Gestors acts on commercial disputes handling instructions in out of court settlements and judicial proceedings. The firm supported Moldavian TRANSIMEX S.R.L., LLC in the pre-trial settlement of the insurance-related dispute with the Private JSC Insurance Company Inkomstrakh; protected the interests of SAVTEK LLC, manufacturer of building materials, at the Higher Administrative Court of Ukraine in a tax-related case. Andriy Tsvyetkov is a key contact. 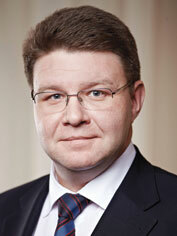 In 2013 Beiten Burkhardt was a center for enlisting actions for German clients andpicked up commercial litigation work. Oleksiy Feliv, partner, represented AKW Ukrainian Kaolin in a dispute over acquisition of the land plot for kaolin mining purposes; SAATEN-UNION GmbH, an international plant breeding company, in courts in respect of the collection of debt for delivery of goods. As the Kiev office was closed down in December, the team of nine lawyers joined the Kiev office of Gide Loyrette Nouel on 1 January 2014. Gide Loyrette Nouel remains a stop shop for its international clients seeking representation in commercial litigations. The office as led by partner Bertrand Barrier, advised the vaccines division of a large international company devoted entirely to human vaccines in a commercial litigation against a Ukrainian company, in connection with the recovery of debt under a supply contract; represented the worldwide leader in the pharmaceutical industry in its Ukrainian distributor’s insolvency case, on issues of debt recovery. During the past year Gramatskiy & Partners increased its litigation portfolio which consisted of cases against banks, financial institutions, litigation with tax authorities and debt recovery disputes. The team was recently appointed in the dispute involving Ditrade Ltd against tax bodies and acted as an adviser of Media Trade Ukraine Ltd in a tax-related case. 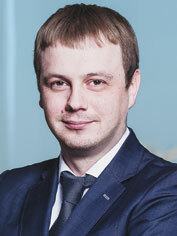 Oleksandr Koval is head of the firm’s litigators. Misechko & Partners has expanded the variety and number of disputes, covering debt recovery, tax, real estate, land lease, contractual disputes. The compact team led by the firm’s founder, Volodymyr Misechko, acted for Panalpina World Transport Ltd on a debt recovery of company-non-resident Pars Energy originating from default on a contract on transport forwarding; represented Olimp-S in a dispute with LUKOIL-Ukraine on debt recovery; represented Tehnotaun, computers and home appliances trader, in a dispute with Daniel Commercial Bank on recovery of monetary funds. The firm has shown a number of won cases related to residential and commercial premises in the center of Kiev. Moris Group enjoys rapid development of its dispute resolution experience. During the past year the group has successfully provided support in administrative proceedings and a number of disputes related to corporate governance, tax, real estate and finance issues. Notably, the reported total value of disputes exceeded USD 590 million. The group has represented LUKOIL-Odessa Oil Refinery PJSC in a USD 176.6 milliondispute with regional tax authoritiesregarding annulment of a tax notification on accruing profits tax liabilities. The group continues with it debt recovery representation. By way of example, the team acted for VAB Bankin a number of disputes with various Ukrainian companies regarding debt recovery under loan agreements and right to the recovered real estate objects which had been in mortgage under mortgage agreements, as well as with respect to bankruptcy procedures. The key members of the litigation team are partners Andriy Romanchuk, Andriy Savchuk, and Volodymyr Kostyuk. Grischenko & Partners, a known Ukrainian legal counsel in international arbitration, acts on recognition of foreign arbitral awards in Ukraine. For instance, in 2013 the firm acted for Sea Emerald S.A. (Panama) to give access for a court to execute a decision of LCIA to recover a debt of a Ukrainian counteragent. Dmitri Grischenko, founding partner, is the main contact. The litigation practice of Sokolovskyi & Partners embraces cases on corporate, bankruptcy and commercial issues. The firm is particularly busy handling tax disputes. Vladyslav Sokolovskyi, managing partner, guides tax area, partner Oleksandr Tereshchuk is in charge of corporate litigations and Vladyslav Filatov is head of the bankruptcy and restructuring practice. In 2013 the team managed to perform immensely numerous representations. Examples include successful representing Bang & Bonsomer, international supplier of chemical raw materials, in a dispute with customs bodies. VB PARTNERS offered representation in debt restructuring litigations, criminal proceedings, tax disputes, corporate rights and contractual issues. Notable clients include Bank Petrocommerce-Ukraine, Indesit Ukraine, LUK-Avia Oil, Dubai Investment Group. The team recently acted for a private client in disputes with Swedbank and in a range of criminal cases on illegal charge-off of deposit. Both founding partners, Denys Bugay and Volodymyr Vashchenko, were involved in recent representations. Alekseev, Boyarchukov & Partners is a compact local litigation force with a sharp focus on banking, bankruptcy, tax and commercial disputes. Both founding partners Sergey Alekseev and Sergey Boyarchukov have a long expertise of representation of creditors’ and debtors’ interests in cases on bankruptcy and debt recovery. 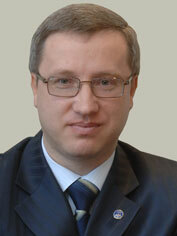 Maksim Boyarchukov is head of the judicial practice. 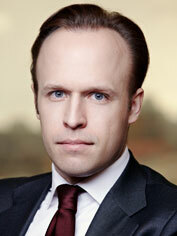 Oleksandr Tkachuk, senior associate, represented Elektroprivod in the recent court proceeding. Volkov & Partners was traditionally active in the agrarian sector, maintaining subsequent offering in commercial, tax and debt recovery disputes. Amongst the recent examples are successful representation of Amway Ukraine LLC in a dispute on recognizing an agreement null and void, recovery of lost profit and mental suffering compensation; representation of AgroClass LLC in the case in a commercial court regarding lease of state property. 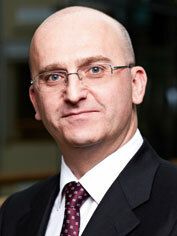 Ihor Martsyn, partner, is head of the litigation team. Juscutum Attorneys Association handled more than 40 litigation cases. Of late the firm assisted TIR Films, a Ukrainian film producer, in a dispute against the State Prosecutor’s Office and the Ministry of Culture regarding the invalidation of a contract and collection of damages. Another notable issue was legal support of Department of Economy and Investments of the Kiev municipal public administration in matters related to the activities of the specified body, control of enforcement proceedings versus more than 80 partners. Dmytro Gadomsky and Anton Kuts are major contacts. The strong focus of Jurimex Law Firm on the travel industry relates to travel firms contentious experience. Recent cases include protecting the interests of M.I.B.S. Travel in a dispute with Aerosvit as to recovery of fines; support of Travel Professional Group in a dispute with the International Air Transport Association on carrying out of operations in the system of mutual settlement of accounts BSP. The team often assists both individuals and legal entities on land disputes, handles disputes with state bodies, acts in debt recovery and IP trials. The team includes partners Oleksandr Shyshkanov and Bohdan Shapoval. Managing partner Yuriy Krainiak and senior lawyer Oksana Efimchuk excel in the media and entertainment sectors. Odessa-based Jurline Law Firm is renowned for representation of regional clients: Ilyichevsk Shiprepair Yard, JSC Ismail winery, PJSC Odessavinprom, Production and trading wine company Shabo. In 2013 the firm completed by way of support more than 100 cases in Ukrainian courts with a reported total value of claims exceeding USD 110 million. Oleg Kutateladze and Vitaliy Cherkes are the major contacts. Kibenko, Onika & Partners, Kharkov-based firm, embraces a wide range of dispute resolution performance, including recovery, economic, commercial and labor disputes. Landmark cases of late are successful representation of the interests of a major construction company with Belgian investments at the High Commercial Court of Ukraine in a dispute on collecting funds for executed works; protecting the interests of a major media holding in an economic dispute with ME Kijevskiy Metropoliten. Partners Maxim Sheverdin and Roman Moskal are the major contacts. The Odessa-based Lexcellence Law Firm acts for international and domestic clients in shipping, real estate, commercial and corporate disputes, as well as in direct negotiations or disputes with tax and other government authorities. A recent remarkable case was representing the company RespondentBluerock Shipping Co. S.A. (Greece) that was in a damages claim for approximately USD 2.6 million brought by Phaeton International Company S.A. (Republic of Panama). During the litigation lawyers sucessfully released the vessel Laconic, which was arrested as a measure to secure the claim, and won the case. 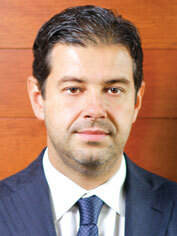 The practice is led by senior partner Vagif Mallayev and counselor Eugeniy Gareev. Last year Lexwell & Partners provided successful advocacy of Podilsky Cement’s interests in litigation regarding ownership of natural gas delivered in the amount of USD 5 million; prepared a legal opinion on foreign judgments enforcement in Ukraine. Andriy Kolupaev led the team. The vast majority of Legal Alliance Company’s clients are in the healthcare and pharmaceutical sector. The firm is active in fund recovery and IP disputes, litigations with customs authorities and arbitrations. The past year was notable for representation of the Association of Multiple Sclerosis Disabled in a dispute concerning the registration of generic pharmaceuticals by reason of the breach of registration procedure and the absence of clinical trials. Another highlight is representing an oncologival hospital in a dispute with a patient. Evgeniy Scheglov and Nataliia Lavrenova are led by Illya Kostin. Danevych Law Firm combined with Ulysses in December 2013 to become Marchenko Danevych. The new firm dealt is centered on tax, commercial, labor and employment disputes; contract law issues disputes, land-related disputes.Partner Oleh Marchenko became head of litigation. The Kiev office of Austrian law firm Wolf Theiss meets clients with their dispute resolution queries in the country. Geveko Industri Holding AB, ThyssenKrupp AG, Ronesans Holding A.S. belong to the clientele. The office, as led by its managing partner Taras Dumych, represented the Ukrainian subsidiary of Geveko Industri Holding A.B. in court actions against the State Company Motorways of Ukraine which defaulted under a number of supply agreements. Established in March 2013 the Vox Legum law firm had something to offer foreign and Ukrainian investors. The firm, as led by two partners, Oksana Govorun and Mykhailo Spasov, represented the interests of a foreign investor in the course of UAH 54 million debt recovery from a Ukrainian energy company. S.T. Partners, compact local firm, acts on debt collection disputes, inheritance cases and other family law trials. Both founding partners Sergiy Tyurin and Svitlana Trofymchuk are active litigators. The Donetsk-based law firm Pravozahyst Ukraine concentrates on disputes with State Customs. The firm’s clients include Lemtrans, POPASNYANSKYJ Car Repair Plant, Metinvest Holding, Zschimmer & Schwarz Russia Ltd, Azovinvest. German Taslitskiy is the main contact. ILF, Ukrainian law firm with offices in Kharkov and Kiev, as led by Olexiy Kharytonov, represented Ukrgasbank in a number of disputes to prevent withdrawal of collateral assets owned by a state bank. 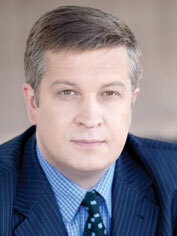 IMG Partners, as led by Ihor Melnyk, represented agribusiness companies in disputes with tax authorities. 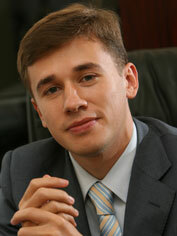 Law firm Pragnum as led by Vitaliy Bobrynev acts on tax litigations. CMS Cameron McKenna acts for international clientele on administrative, IP, shareholders’ disputes in Ukraine. Chadbourne & Parke kept queries from international business for handling court representation in debt recovery, investment and tax disputes. Olga Vorozhbyt and Julia Dmitrieva are the firm`s main practitioners. Yaroslav the Wise National Law Academy of Ukraine, (2001); The Prosecutors’ Training Institute, Speciality Jurisprudence (2001); Inter-regional Personnel Management Academy, Speciality Finance (2004). Vladimir Vashchenko has extensive experience in litigation, Ukrainian and international tax law, direct investments, public-private partnership. Mr. Vashchenko provides legal support for companies in energy, metallurgy, oil & gas industry. Vladimir is an expert in privatization issues and seaports. On the basis of the results of his professional activities Vladimir Vashchenko is on the list of leading specialists іn the sphere of civil and commercial (contract) law according to the results of the all-Ukrainian professional research Client’s Choice 2010 — 2011 conducted by Yuridicheskaya Gazeta. According to the Ukrainian Law Firms 2012: A Handbook For Foreign Clients, Mr. Vashchenko is one of the leading experts in the field of tax law, energy and natural resources. In addition, Vladimir consistently ranks in the top 15 of the most famous lawyers in the tax practice according to the 50 Leading Ukrainian Law Firms research conducted by Yuridicheskaya Practika Publishing and Kommersant-Ukraine. Kharkov Law Academy and Taras Shevchenko Kiev National University. 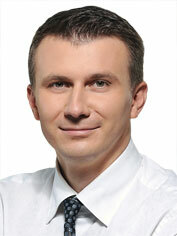 Mr. Zavadetskyi practices law since 1996 and has been an advocate since 2001. Prior to establishing his law firm Oleksandr acquired substantial hands-on experience in the financial and heavy industry sectors, where he held a number of counsel and managerial positions in high-ranking local and international companies. At that time, Oleksandr had managed legal support in a number of high profile projects, such as: acquisition of Dunaferr Metallurgical Mills (Hungary) by Industrial Union of Donbass; completion of 14 IPOs and private placements in London, Frankfurt, Vienna and Kiev; completion of 15 M&A transactions; management of recovery and restructuring of international banks’ NPL portfolios in the Corporate and Retail sectors of a total volume exceeding USD 2.5 billion. Oleksandr’s most recent experience includes representing multinational corporations from France and China in criminal proceedings on a complainant’s side, a US corporation in criminal proceedings on the defense side, a Canadian citizen in criminal proceedings on the defense side, a Greek bank in an important tax matter, Hungarian and Dutch banks in large debt recovery processes.